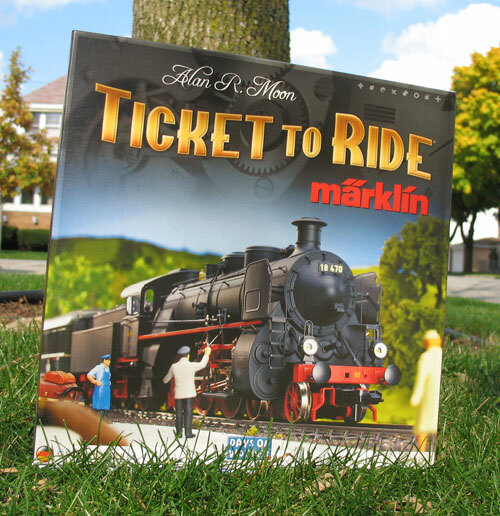 Recently, Amy & I purchased Ticket to Ride Marklin, the German map version in the Ticket to Ride boardgame series. Is this passenger traveling light due to TSA restrictions? 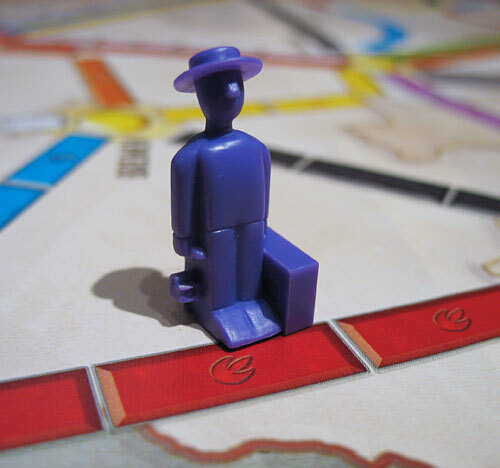 That's the Purple Man, a notorious one-suitcase train bomber. He obviously is trying to bomb that Rebel Alliance railroad that he is standing on. You can even see the restraining bolt Darth Vader had installed into his ankle. Poor little rebel scum – sniff- they never had a chance!!! 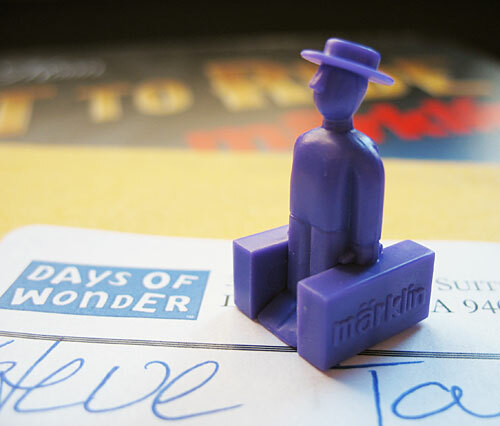 But seriously, on Tuesday morning I dropped an e-mail to the Customer Service folks at Days of Wonder, makers of the game. That afternoon they replied stating that "the replacement parts for your Days of Wonder game were shipped today." On Thursday afternoon, they arrived. Replacement piece arrived in less than 3 days! Now that's great Customer Service. Thanks again, Days of Wonder! I'm guessing that he flew United and they lost some of his luggage so he decided to take the train home instead.